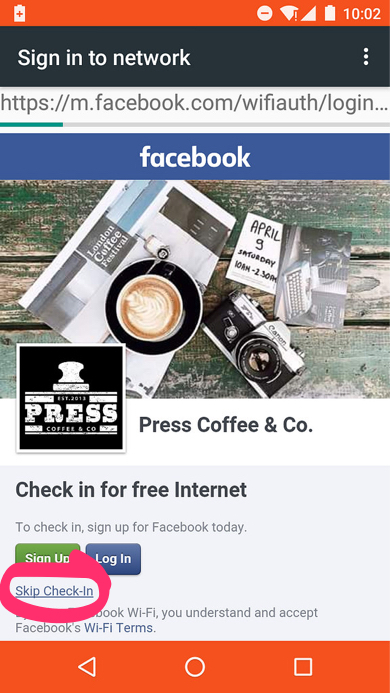 What’s easy to miss is that you can bypass the Facebook login and check in process simply be clicking on “Skip Check-in” link and you’ll be connected. You don’t need a Facebook account to do this, and even if you have one you don’t need to login. Written May 16, 2016 at 3:59 p.m.